Sea of Thieves is shaping up to be one of 2018’s breakout hits of the year, with the game’s beta attracting a ton of attention and paving the way for a successful launch in March. The Sea of Thieves beta went live yesterday (January 24th) on Xbox One and PC, and promptly received a ton of coverage from streamers, YouTubers, and others with a huge online reach. Last night the beta became the most-viewed game on Twitch, beating out the likes of League of Legends, Dota 2, PUBG, and the Overwatch League. Twitch’s most popular streamer, Summit1g, noted how the game was bagging him over 65,000 viewers consistently. Lirik, another top 10 streamer, reached a peak of 75,000 viewers. Creating a game that was enjoyable to watch ranked high on Rare’s list of priorities for i. Gregg Mayles, the developer’s creative director, shared a tweet that revealed the concept behind the game that was established four years ago. 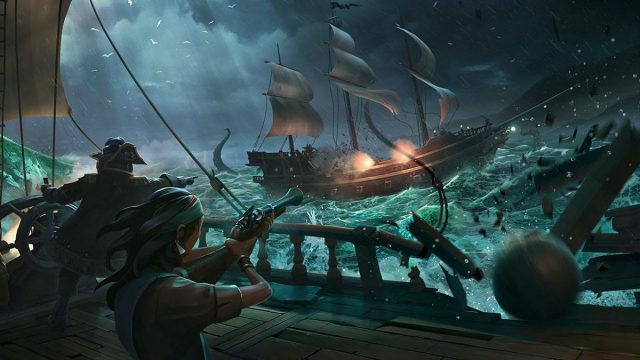 Branded a “group shaped narrative,” the concept outlined the difference between “hard” and “soft” skills, outlining how Sea of Thieves was looking to focus on the latter. These soft skills range from pulling up a compass to know which direction you’re headed in, to getting out a map and physically showing it to a teammate in order to highlight your whereabouts. They’re small interactions with the game world and the players in it, though when combined they make for excellent storytelling opportunities in which the viewer needn’t have prior knowledge of the game in order to understand what’s going on. 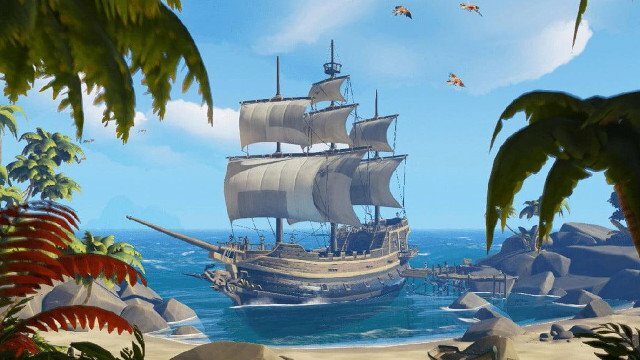 Considering that games such as PUBG and Fortnite Battle Royale have become so successful as a result of this brand of emergent storytelling, it’s perhaps no surprise that Rare making it Sea of Thieves‘ focal point has led to its closed beta garnering so much attention. That Sea of Thieves is already bagging streamers some of their biggest audiences will inevitably cause more to try it out. Though PUBG and Fortnite still rake in massive audiences, the similarities between the two inevitably will inevitably lead to stagnation, creating a gap in the market for a game with its own unique flavor. Sea of Thieves could well fill that slot.